Is coffee bad for you? A California court decision is brewing up suspicion about the safety of your morning cup of joe, prompting a more pointed question: Does coffee cause cancer? Does coffee cause cancer? If you enjoy three to five cups a day, you'll get a sense of relief from science. It’s java that jump-starts your day. It’s the elixir of work. It’s coffee, the beverage enjoyed daily by an estimated 62 percent of all Americans, according to the National Coffee Association. For many, coffee is the rocket fuel that transforms us from sleepwalkers into go-getters, from lethargic to lively. But a recent preliminary court decision in a longstanding California lawsuit has raised an alarming question about your morning brew: Does coffee cause cancer? The answer isn’t completely clear, although the bulk of the scientific research suggests it doesn’t, and that a reasonable amount every day—three to five cups—won’t turn normal cells to cancerous ones. At the center of the debate about coffee and cancer is a chemical known as acrylamide. It’s used in making paper, plastics, and other materials, and significant amounts are produced in cigarette smoke, including secondhand smoke. In studies involving rats and mice, acrylamide has been found to increase the risk of certain cancers. It was 2002 when Swedish researchers first found acrylamide in foods. In particular, the chemical is produced from natural sugars and an amino acid (asparagine) when certain foods are cooked at high temperatures—namely, frying, broiling, baking, or roasting. Steaming, boiling, and microwaving are less likely to produce acrylamide, according to the American Cancer Society (ACS). Potato products, especially French fries and potato chips, and certain grain products (e.g., toast, cookies, and breakfast cereals) are among the larger sources of dietary acrylamide. Of particular concern to coffee drinkers is that coffee is another significant source of acrylamide. The chemical is formed when coffee beans are roasted, and it remains in the coffee you consume. 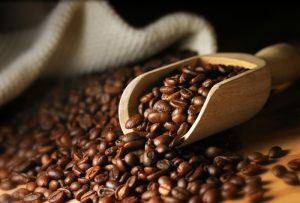 In 2010, the nonprofit Council for Education and Research on Toxics (CERT) filed a lawsuit in Los Angeles Superior Court against Starbucks and a number of other coffee producers and sellers, claiming these companies failed to inform customers about the presence of acrylamide in coffee products. A California law requires the state to maintain a list of potentially cancer-causing chemicals, and it mandates that businesses warn consumers about the presence of high levels of these chemicals in their products. Acrylamide is on the state’s list. In March 2018, a California Superior Court judge issued a preliminary ruling in favor of CERT. The decision raised speculation that coffee manufacturers and sellers would be forced to place cancer warning labels on coffee products. Studies have shown that acrylamide can cause cancer in lab animals (rats and mice), but the amounts used in those studies were 1,000 to 100,000 times greater than amounts humans normally consume through dietary sources, researchers noted in a systematic review of the medical literature (Nutrition and Cancer, online May 29, 2014). However, experts caution that the studies in humans involved the use of food-frequency questionnaires, which may not fully account for all sources of acrylamide and, because they rely on people to recall what they have eaten, may not accurately reflect true acrylamide exposure. So research into the potential health risks of acrylamide continues. Based on the studies of lab animals, several authorities—including the U.S. Environmental Protection Agency (EPA) and the National Toxicology Program—classify acrylamide as potentially carcinogenic in humans. Yet, for coffee lovers, that key question remains: Does coffee cause cancer? Carcinogens and Coffee: Is There a Legit Connection? 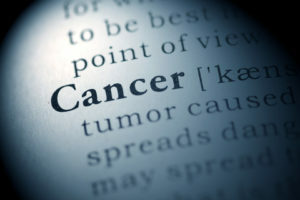 But, in 2016, an international working group convened by the IARC reviewed data from more than 1,000 studies of humans and animals and reversed this position, determining that no conclusive evidence supports a causal link between drinking coffee and cancer. The working group noted, though, that drinking very hot beverages probably causes esophageal cancer. More recently, researchers performing an umbrella review of 127 meta-analyses about the health effects of coffee reported that coffee consumption was associated with a probable decreased risk of breast, colorectal, endometrial and prostate cancers, cardiovascular disease and mortality, type 2 diabetes, and Parkinson’s disease, but also a rise in blood pressure. “Given the spectrum of conditions studied and the robustness of many of the results, these findings indicate that coffee can be part of a healthful diet,” the researchers concluded (Annual Review of Nutrition, August 2017). The good news is that coffee (as well as tea) is a good source of cancer-fighting antioxidants. It also contains several vitamins and minerals, including magnesium, niacin, vitamin B5 (pantothenic acid), phosphorus, potassium, and riboflavin. While syrups, heavy creams, and sugar may add some jive to your java, they also add calories, so stick to low-fat or fat-free creamers, and minimize your use of sweeteners—or go black. The caffeine in coffee can cause jitteriness and temporary spikes in blood pressure and heart rate. So, drink it in moderation, or try decaffeinated brands. Since coffee increases insomnia, don’t drink it close to bedtime. 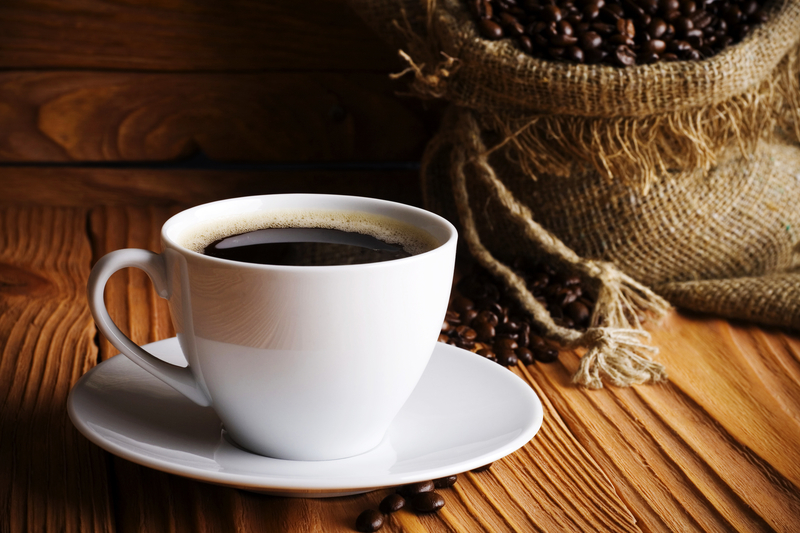 Coffee can increase urine production, which may pose a problem if you have an overactive bladder or an enlarged prostate. 2 diabetes, acrylamide, add, antioxidants, blood pressure, breakfast, caffeine, calories, cancer, cancer research, cancers, cardiovascular, cardiovascular disease, coffee, colorectal, diabetes, diet, dietary guidelines, dietary guidelines for americans, does coffee cause cancer, endometrium, esophageal cancer, food, health, healthy eating, insomnia 2, magnesium, mortality, niacin, nutrition, nutrition and cancer, Pancreas, parkinson s disease, potassium, Prostate, research on cancer, sugar, type 2 diabetes, uterine, vitamin, vitamins, vitamins and minerals. Article about coffee and cancer relationship was very informative. Thanks. If California is so interested in cancer issues, how about the poison, lead and other chemicals from tea imported from Asia? Air Conditioning was shown to cause cancer, exposure to sunlight causes cancer. They’ve gone off the deep end and maybe they do need to fall off into the ocean sooner than later. Odd as it seems, I wrote my research report on Acrylamide over 12 years ago and I listed coffee as a possible low key carcinogen even though inhaling those fumes at the gas pump or the leaky exhaust of a car in front of you is likely 500 times worse. Isolation of particular chemicals can produce remarkable results in studies, both negatively and positively. Yet, virtually nothing in nature exists in isolation, especially food sources. There is a myriad of interactive biochemicals including vitamins, minerals, fats, proteins, carbohydrates, fats, water, etc…and their sub-components and buffering agents, many unknown to science, to date. For example, there is the presence of cyanide glycosides in apple seeds, known to be carcinogenic. Yet, you would need to eat a bushel of them to contract cancer. Regarding the coffee issue, perhaps, the real concern should be the longevity of consumption and why do we need to consume daily doses of anything, merely to wake up or keep going. Healthy habits are based on generating the most efficient and exceptional metabolism for the longest duration and producing a metabolic environment that extends health, rather than exacerbates illness, weakness or addictive practices. If there are withdrawal symptoms and issues with “can’t wake up or keep awake” without it, than it edges on the realm of a drug, rather than a food. Then, there is that social context of something that brings people together and a familiar habit that is like a metabolic pacifier. Hopefully, one day, we will replace these habits with those that allow us to wake up and keep going on our own internal empowerment, without the java kick. Try hot cocoa, a bit of a molecular twin, but less caffeine and more nutritional value, or a great cup of herbal tea, which many kinds, including green tea, produced without chemicals and chlorine-treated bags , are clinically shown to prevent cancer.